Brian Wilson in Montreal or Quebec City? Inform me about the next events for Brian Wilson. 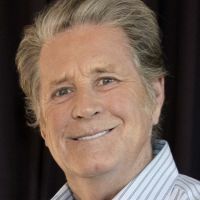 Enroll yourself to our priority waiting list for Brian Wilson to be alerted when new tickets are available. Filling this form doesn't engage you to any purchase. Brian Wilson will be back in Montreal this summer ! On July 7th, 2016, Brian Wilson will be performing at the Wilfrid-Pelletier Hall of La Place des Arts as part of the Montreal Jazz Festival. Wilson's current tour celebrates the 50th anniversary of the Beach Boys' classic album Pet Sounds. The last time we saw Brian Wilson perform in Montreal, he was joined by the reunited Beach Boys at the Bell Centre, on June 20th, 2012.